Don’t want to waste an hour taking the bus to Mount Royal just for one morning class? Instead of skipping, you might want to consider Calgary’s newest method of travel: Car2go. This summer Calgary was introduced to one of the most innovative methods of travel in North America, a car sharing system that provides 150 smart cars for public use within a designated area of the city. Finally, some relief for students who don’t have a car and need to get somewhere quickly, especially those who take transit and don’t feel like lugging a backpack full of heavy textbooks onto a crowded train or those with a long break between classes who want to get off campus. According to Mount Royal Parking Authority, representatives from Car2go will be on campus talking to students and introducing them to this new concept on Sept. 19, outside East Gate. One of the benefits of being a student is Car2go will wave the registration fee of $35 and offer 30 free minutes of driving time. Membership only takes a minute and can be done online at Car2go.com. Once you register, you will receive your membership card in the mail. 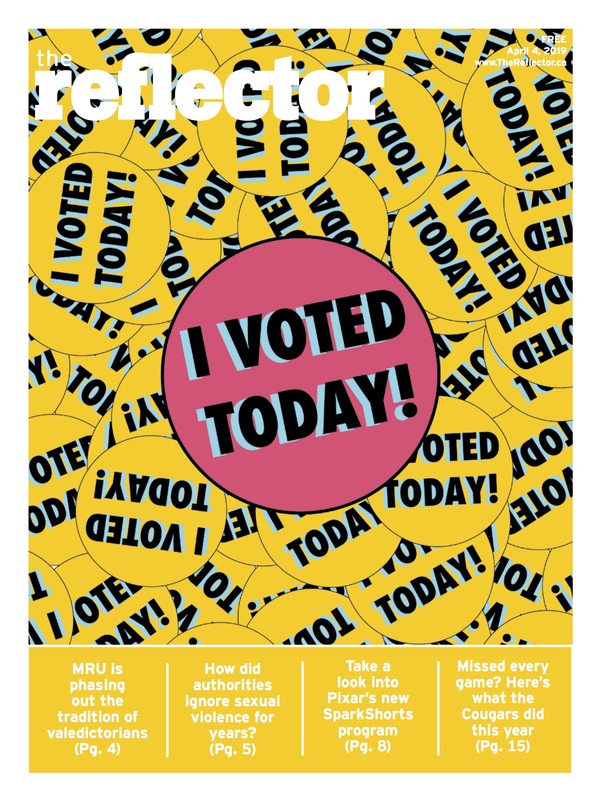 After that, you can reserve a car, locate a car online or by smartphone, or walk up to one in the street and — provided it’s not in use — hold your membership card up to the card reader on the windshield and the car will open. Though there are few restrictions, one of the main rules is that you have to return the car to the home area. The home area takes up a large portion of the city, extending from 16th Avenue to Glenmore Trail and Sarcee Trail to Blackfoot Trail. Mount Royal University is within the home area, and parking is free for students. Cars can be returned to designated stalls provided by the university especially for Car2go smart cars — three stalls in Lot 1, two stalls in Lot 7 and two spaces in front of West Residence and the EA building. Rates for these cars are $0.35 per minute or $0.45 per minute after 200 kilometres. The hourly rate is $12.99 and the day rate is $65.99. 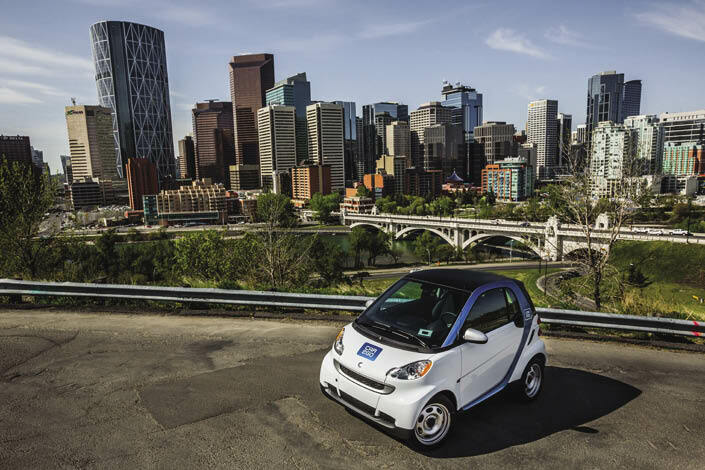 Calgary is the third city in Canada to welcome Car2go Canada Ltd, after Toronto and Vancouver. Until there is a C-Train that comes directly to Mount Royal, this travel method provides students with a new and helpful way of getting to and from the university, and free parking on campus makes Car2go an attractive option.